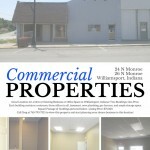 Great Location for a New or Existing Business or Office Space in Williamsport, Indiana! Each building contains a restroom, three offices in all, basement, new plumbing, gas furnace, and ample storage space. Square Footage of buildings pictured below. 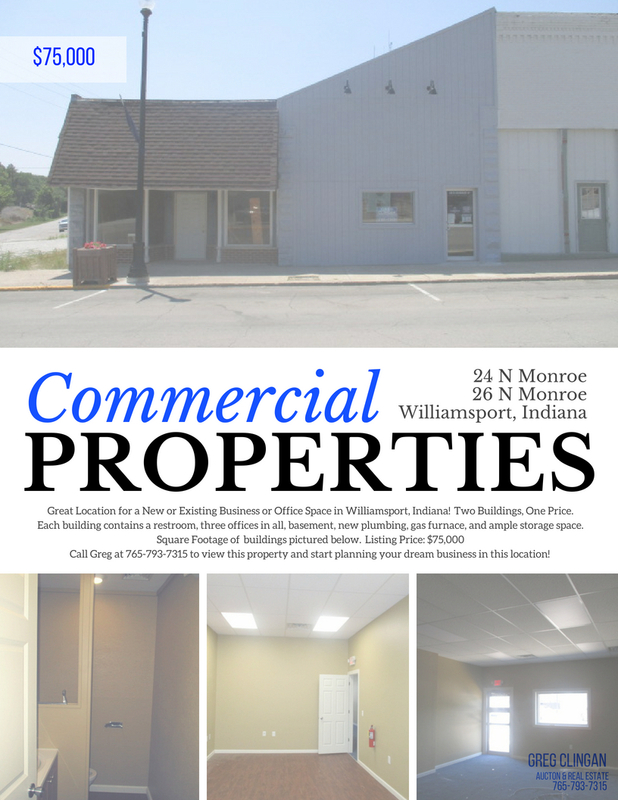 Call Greg at 765-793-7315 to view this property and start planning your dream business in this location!